Gequinta Williams, 27, faces a charge child neglect. 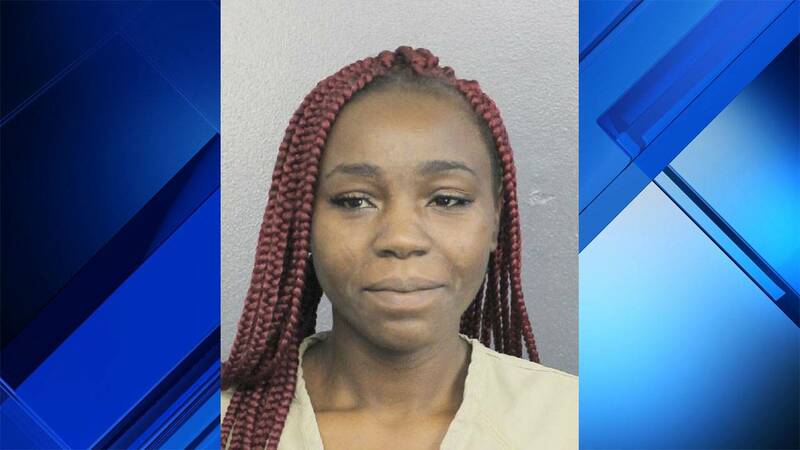 MARGATE, Fla. - A North Lauderdale woman whose 2-year-old nephew drowned this summer in her family's backyard pool is now facing a charge of child neglect. According to the arrest report, Gequinta Williams, 27, was watching television with the child on July 17 at a home in the 2600 block of Northwest 64th Avenue in Margate when she fell asleep. Meanwhile, the victim's great-grandmother, who has dementia, had a habit of leaving a sliding glass door to the yard open, allowing the child to gain access to the pool. Williams later found the child dead in the pool and alerted authorities. Margate police said Williams knew her relative often left the door ajar and shouldn't have fallen asleep while caring for both the child and the older relative. Williams appeared in bond court on Wednesday, where a judge set her bond at $2,500. Her public defender, Hector Romero, argued that the child's death was a "tragic, tragic accident" and that Williams works a steady job as a porter in Coral Springs and has no prior criminal history. Romero said Williams has attended grief counseling and therapy since the boy's death. Romero added that Williams moved since the incident and no longer lives with or cares for children. Williams is currently being held in Broward County's main jail in Fort Lauderdale.